I recently ordered and received the book titled “Rwanda: La bataille de Kigali.” It speaks to me in a particular way. 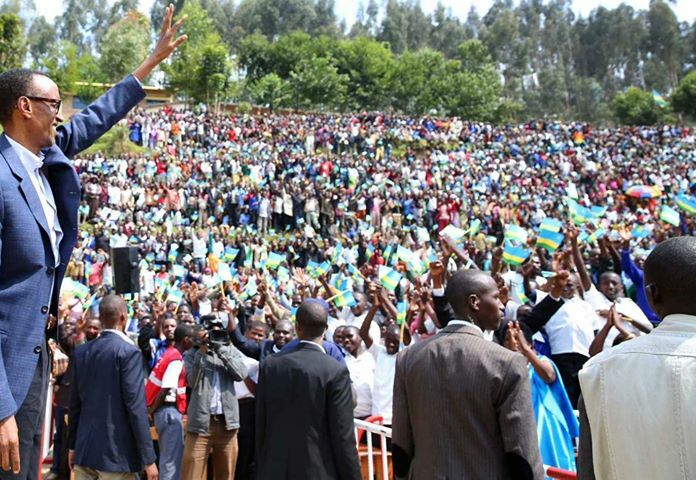 It’s an untold story about the conquest of the Rwandan capital city KIGALI by the Rwandan Patriotic Front. I decided to buy the book because it talks of a period of my life when everything could’ve happened and got me killed. It was a time of war: April/July 1994. I lived almost half of that war period trapped in Kigali where I had lived almost all my life so far. There were times when I wondered why I was being spared by destiny, seeing some being killed by Interahamwe and others by RPF or its bombs which landed in populated neighborhoods we lived in, indistinctly and continuously, and days after days. Tharcisse Renzaho, author of the book, is among the few people who could write – and he effectively does – with authority about the war that RPF imposed on Rwandans starting from April 6th, 1994 when it assassinated president Juvenal Habyarimana and all other people aboard his plane that evening, while the latter was on its trajectory to landing at the International Airport Gregoire Kayibanda. to show all efforts civil and military authorities made to face the humanitarian tragedy caused by RPF’s simultaneous attacks on multiple strategic targets in Kigali and other fronts across the country, this starting from the night of the assassination of the president and army chief of staff in the airplane which was carrying them from Tanzania. Through the book I understood better how all the people I used to live with in the neighborhood of Remera that luckily I had left for a different suburb of the city the year before, died. That area which is not too far located from CND, Hotel Meridien Umubano, Faycal Hospital, and Hotel Amahoro close to the stadium of same name, all these were the first areas of the city to register victims of the systematic killing RPF committed in its progression to control Kigali. Renzaho makes significant revelations about for example some government military officers who worked in line with RPF strategic political objectives of taking over total power in Rwanda. He as well highlights the changes brought in the military commandment by the nomination of General Augustin Bizimungu on April 16th, 94 as chief of staff, and heavy ICTR sentence for the latter for not having handed over Kigali and the country to RPF, too easily as some of his colleagues wanted. The role of Romeo Dallaire, Commander of UN peacekeepers for Rwanda (MINUAR), in facilitating the victory of RPF is scrutinized under a different loop by the author. He for example points to the view that Dallaire did everything in his position to create divisions among FAR high rank officers in order to push those he called “moderates” to do a military coup that would’ve significantly helped FPR to take the country rapidly. If you are among the lucky ones who survived the battle of Kigali still alive and would want to understand what really happened at the time, the book will provide you with information you might not be able to find elsewhere, because coming from someone who was part of the action. To the younger generation of Rwandans which was lucky not to experience the April/July 1994 period, before learning about World War 2 or any other foreign wars, knowing about own past will teach you more and make you understand more your own society and country. If you are not Rwandan but have a particular interest in the country’s issues I can guarantee you will gain new insights as I did, by getting the book. The book is in French. Hopefully, English speakers will get a version that could make them feel comfortable reading in some not too far future.